Sidney St. James presents his newest paranormal romance epic! 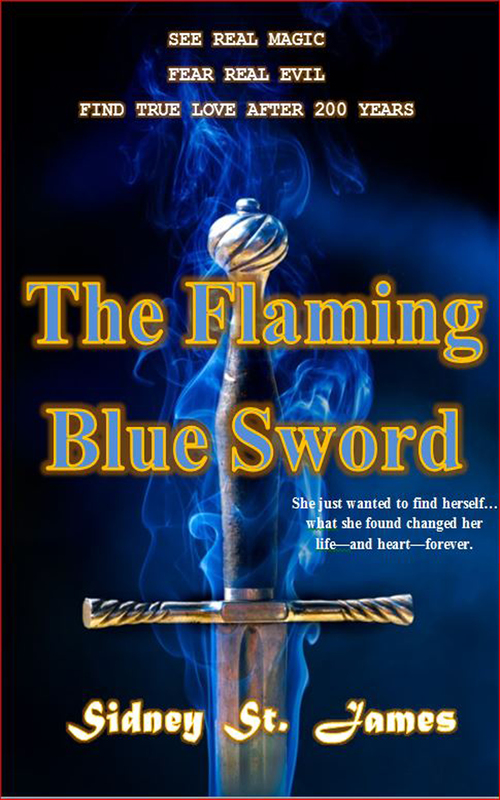 I am excited for my newest release, the first in my paranormal romance Storm Lord Series, THE FLAMING BLUE SWORD. Pre-release ends at midnight tonight for the paperback and the Kindle editions. Your early purchase of the pre-release in the Kindle E-book edition, is appreciated as it will help book sales reach the top 100 at Amazon, which will blossom future sales. I am using my newest pen name for this genre, Sidney St. James. Also, to celebrate the holiday season and my reaching a milestone of a dozen published novels, all Kindle editions of Sean E. Jacobs’ published works are free for five days at Amazon. Two of the twelve reached “Best Seller” status, ADVERSITY – Face to Face and FAITH – Seventy Times Seven. Also, the first in the Texas Outlaw Series, SAM BASS and his Horse Marines, a great tale of the #1 outlaw in Texas in the 1800’s, is available for five days for free…and many others, too. An invitation was received in September for the writing of a screenplay for FAITH. This is underway and about 20% complete…and I thought writing novels was difficult…lol. Lastly, at Goodreads.com, a giveaway is underway to send to five lucky winners who enter, a signed first edition of the novel. Go and click on the “button” and enter the contest. FOLLOW THIS LINK TO AMAZON AND PURCHASE THE PAPERBACK OR KINDLE EDITIONS BEFORE MIDNIGHT TONIGHT! p.s. 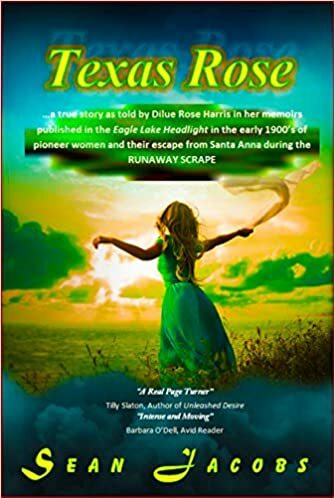 – Oh, and yes, a fun book, one that I have written over the past 40 years, Award Winning Recipes from the Wilds of Texas, is available at Amazon.com. It is not for the light of heart as 466 pages cover how to cook armadillo or alligator, or possum and just about anything else. Eating wild game in College Station was my way of surviving and eating well at Texas A&M during the $10 a week allowance I got while being there, lol. This entry was posted in Holiday Greetings, Recipe Books, Uncategorized, Writing as Robert J. Sanders. Bookmark the permalink. I just pre-ordered your book! I am looking forward to reading it tomorrow. I promise to get back to you soon with my review of your book!